In first grade, the big push is teaching them to become fluent in their math problems. Our district is using Math Expressions for the first time this year. It's really nice to have a math curriculum where you can follow along through the book with lessons that make sense! 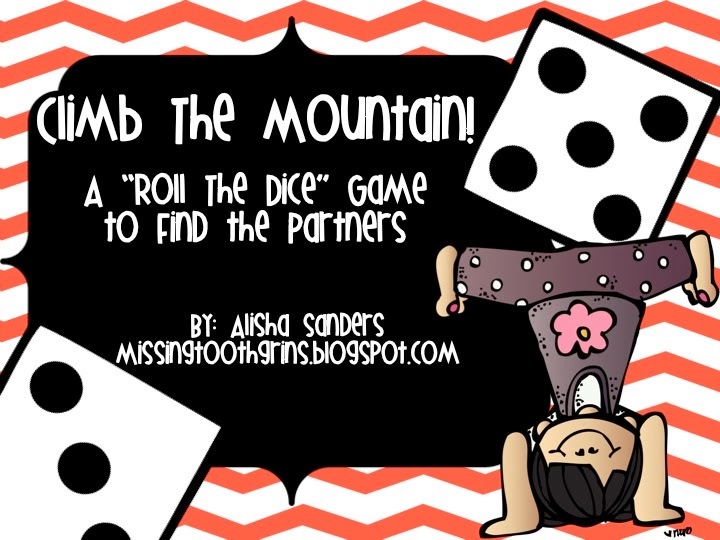 At the beginning of the year, I create a "Roll the Dice" game called Math Mountains. I decided to revamp it and you can pick it up for free by clicking on the picture. It includes numbers 4-10. In partners, students roll a die (or dice- your preference depending on the number). The first number they roll, if it works, they write down. So, for example, if they were trying to reach the total number 4, then rolling a 3, 2, or 1 would work. Then the partner goes. Partners also record one another's numbers. They continue to roll until they find the other partner. Also, I'm apparently completely ready for Valentine's Day because I have made something else that I am ready to use. 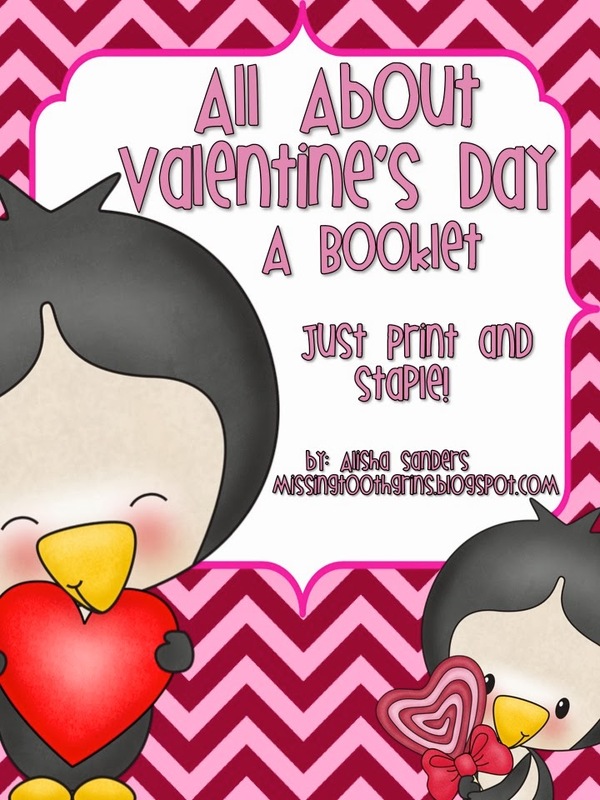 My All About My Winter Break pack was such a success in my classroom and with my TPT friends that I decided to make one for Valentine's Day too. Click on the picture to find this goodie! 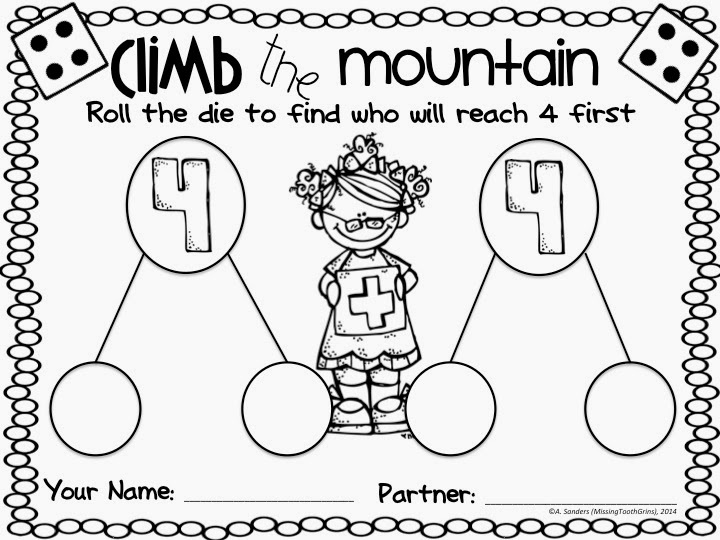 It includes collage pages, writing pages, and two Find A Friend activity pages. I can't wait to use it the day after Valentine's Day. It'll be perfect for all those sugar-high firsties. Hope you all are enjoying your Sunday!